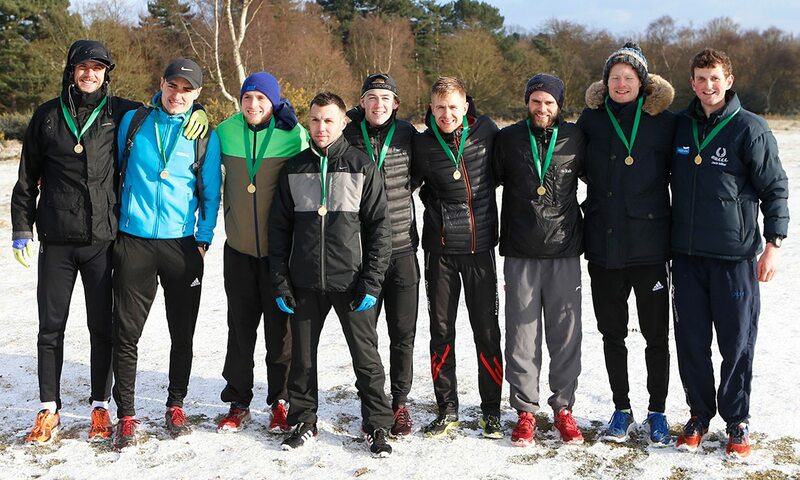 Most of the top road races in Britain were called off this weekend including the South of England Road Relays in Milton Keynes, plus the Reading, Fleet and Wilmslow half-marathons and the Eastleigh 10km. The New Balance English Schools Cross Country Championships and United NYC Half are reported elsewhere on our website, while other highlights included the following. Bristol & West pulled off a narrow men’s 12-stage victory in 4:02:05, just 16 seconds ahead of Birchfield as Cheltenham finished third. Birchfield’s Will Richardson ran the fastest long leg with 26:41 for the 5.38-mile leg. Bristol’s Will Christofi ran the quickest short leg over 3.165 miles of 15:55. Birchfield won the women’s six-stage race by more than six minutes in 2:14:27 as Bristol & West and Cheltenham completed the top three. Birchfield’s Danielle Hodgkinson ran the quickest long leg of 30:57 while the winners also provided the fastest short leg of 17:46 from Sara Treacy. Martin Duff’s report and David Griffiths photographs will appear in this week’s issue. The weather conditions were not as bad as predicted although stopped some from travelling to the race. The event was won by local runner Adam Clarke of Hastings AC, who won the gruelling, tough course in 68:35. Clarke, a 3:38.35 1500m performer, is an occasional training partner of Mo Farah. His win came exactly 10 years after winning the boys 15-16 mini run in Hastings. Charlie Joslin-Allen of Tonbridge was second in 68:52 and Gary Foster third in 70:59. At the age of 50, Maria Heslop of Tonbridge won the women’s race in 81:29 while Stacey Clusker in 83:38 and Rachael Grass were second and third. Additional details and photographs in this week’s magazine. World and Olympic 800m champion Caster Semenya ran a solo 1:57.80 world lead for the quickest ever 800m time in March and it gave her victory by more than eight seconds. World long jump champion Luvo Manyonga won his event with a wind-assisted 8.41m leap to beat world bronze medallist Ruswahl Samaai’s legal 8.21m. In the absence of Clarence Munyai, who ran a sensational 19.69 in the semi-final, Luxulo Adams won the 200m final in a PB 20.08. Rebecca Keating won the ‘B’ hammer with a five-metre PB of 63.87m to top the UK rankings. England under-20 champion Jake Norris won the ‘B’ hammer with a senior implement 70.98m PB to top the men’s rankings for 2018. NCAA indoor mile finalist Neil Gourley won the 1500m in 3:40.37. World Championships long jumper fifth-placer Lorraine Ugen ran a legal best 100m in 11.37 in winning her race. There were indoor all-time bests in the marathon for Malcolm Richards with 2:19:01 and Lindsey Scherf with 2:40:55. Previous all-time marks were 2:21:48 and 2:42:30. Serbian record-holder and five-time Olympian Olivera Jevtic won the women’s marathon title, while Simon Kiprugut Kirui claimed the men’s title, as they clocked respective times of 2:44:26 and 2:18:28 on a warm and blustery day. 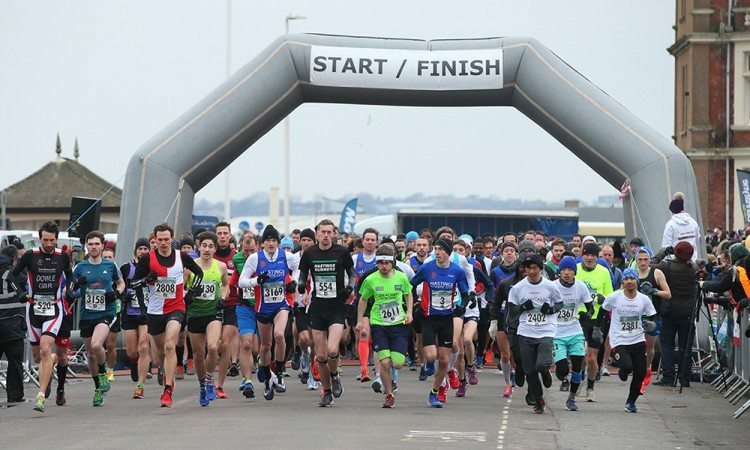 The 12th edition of the event – which now takes place over two days – was declared the most successful yet, with a record number of athletes on the start line of both the marathon and half-marathon races. 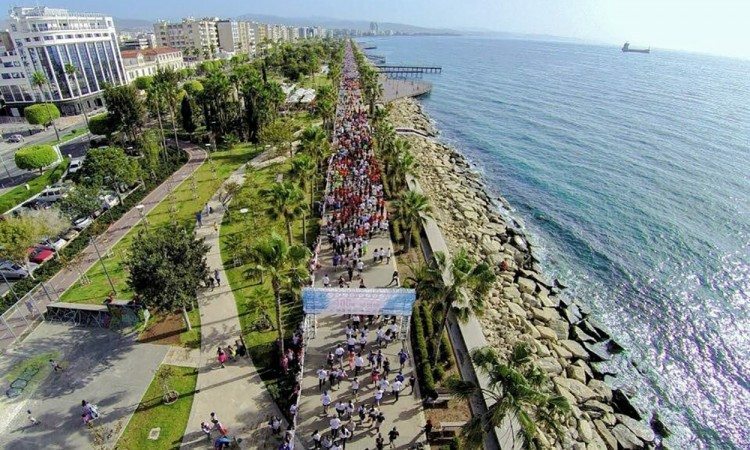 The 10km was won by Nader Jaber and Panayiota Andreou in 32:57 and 41:59 respectively, while 5km winners were Marios Apostolidis (16:48) and Elpida Christodoulidou (19:52) of Cyprus. More here. The Olympic pole vault bronze medallist Eliza McCartney cleared a PB 4.90m which would be an Oceanian record but the temporary runway was gently sloping and it is unlikely to be ratified. Wilson Loyanae regained his title to win in 2:06:57, leading Kenya to a sweep of the first five places. Ethiopia’s Damte Hiru won the women’s race in 2:24:08. Dina Asher-Smith won the 100m easily in 11.24. Jade Lally finished second in the discus with a promising 59.11m throw but was almost seven metres down on former world champion Dani Stevens’ 66.09m. Olympic champion Matthew Centrowitz of USA won the 1500m in 3:37.96 while Brooke Stratton jumped 6.74m to win the long jump. Amdeework Walelegn of Ethiopia won the 10km in a fast 27:36 ahead of Toni Abadia’s Spanish record of 27:47. Kenya’s Mary Waithira was first woman in 31:47 with Britain’s Hannah Viner third in a time of 34:15.